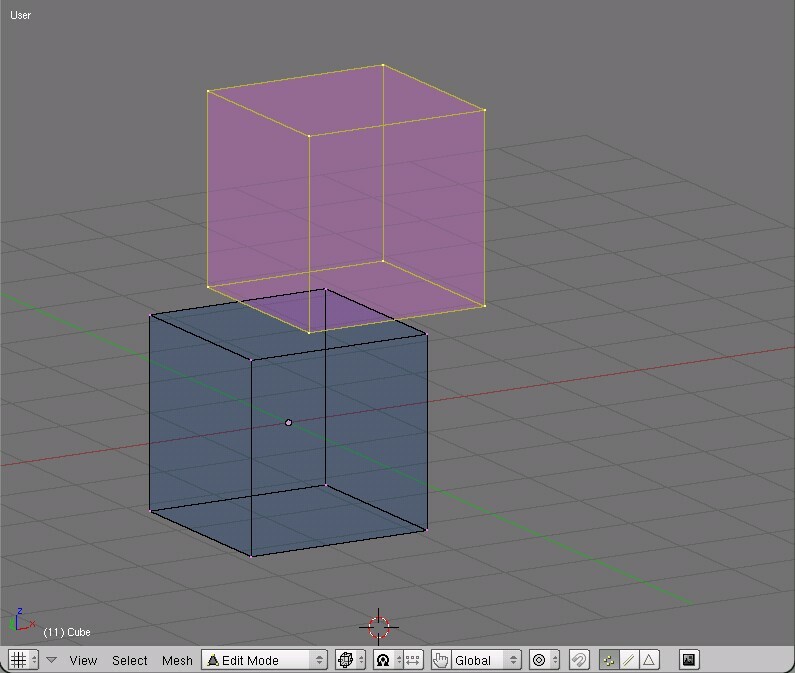 if i try to extrude a cube that is adjacent to another cube after with no faces previously selected, i can’t select all 6 faces to make the extrude/copy - i can only select 5 of the 6 faces or select faces from the adjacent cube. in short, is there way to select the 6 faces from the cube that is adjacent to another cube instance. makes me feel like a simple man. 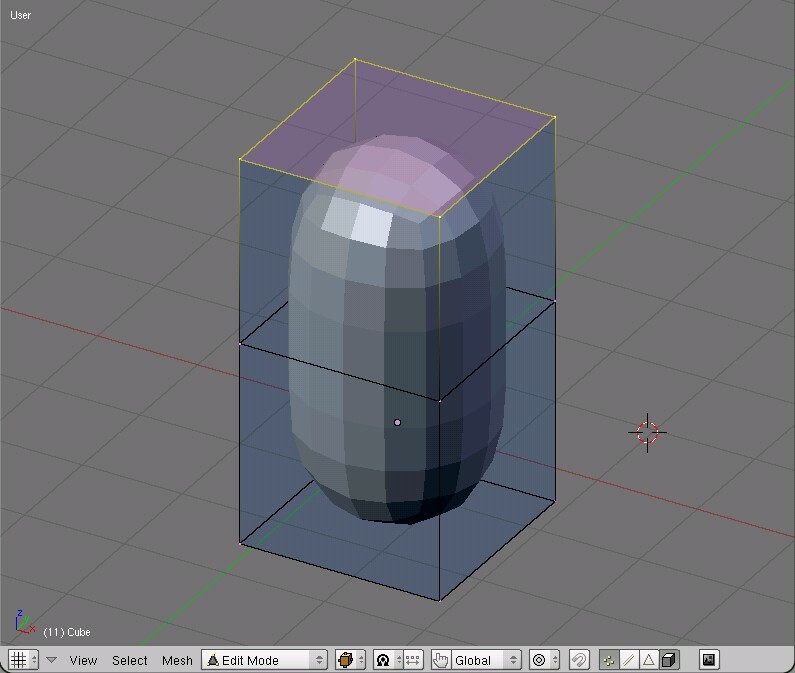 You don’t need to select 6 faces - you need to select only one - that will be extrude. If I understand you correctly, you are trying to get to a face that is hidden by other faces. There are several ways around this. Press Z to use wire frame mode. 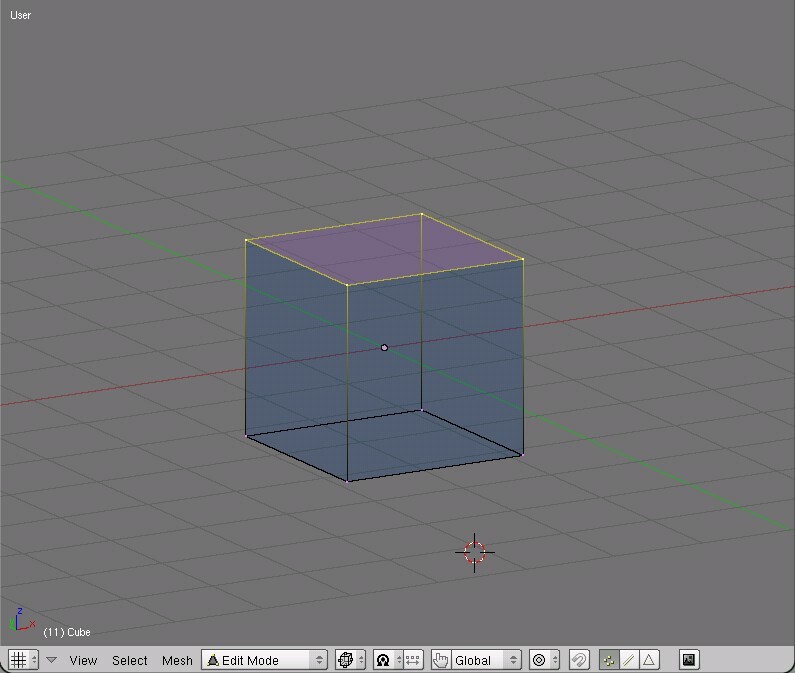 Unclick the little cube icon button, second to the right end, on the 3D View header while in Edit Mode. When two faces are completely coincident, the simplest is still to use the face selection mode (Ctrl+Tab > Faces in EditMode) select in the region of the faces, move the selection a little to see if it is the right one, cancel with ESC or RMB if it’s not, then select again and that should be it (if there are only two coincident faces) since Blender cycles between the different possibilities when there are many candidates to a given selection. thanks for the replies. cycling through the possibilities of coincident faces works, but it seems a bit awkward. i guess there is no function to select all the faces in a component? Newbies constantly post images with strange black markings, artifacts, and other weird things going on, all related to doubled (sometimes tripled) vertices and faces, and we more experienced Blenderers could never quite figure out how they mangaged to screw up their model so badly. You have finally clarified this major misunderstanding. 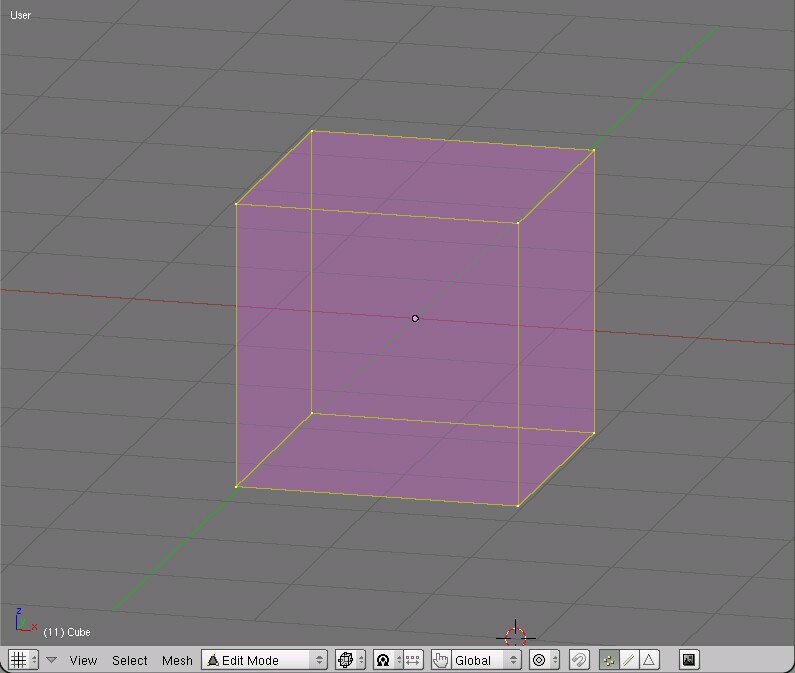 You do not have to select the entire cube to extrude a new cube. You only have to select one face of the cube (four vertices). If you do select the entire cube (eight vertices), it will appear to do the same thing, but in reality, since Blender works with vertices, not really with faces per se, you wind up with doubled up vertices after you move the new cube to it’s new location. The awkwardness is in you attempting to do something that will just lead to problems later on, ie: as soon as you try to render that cube man and get artifacting all over the place. At that point, we’ll tell you to select everything, and remove doubles. Which usually fixes the problem, unless the normals are also messed up, in which case you’ll have to recalculate your normals as well. So much easier not to make the mistakes in the first place. The Lkey, when hovering over one of the vertices on such a ‘component’ with the mouse pointer will select all vertices that are linked together by a network of edges. There you have it, the Lkey. sorry to keep at this one. it seems i can select all faces with the Lkey - thank you - and i can only extrude a new cube when all faces/vertices are selected. 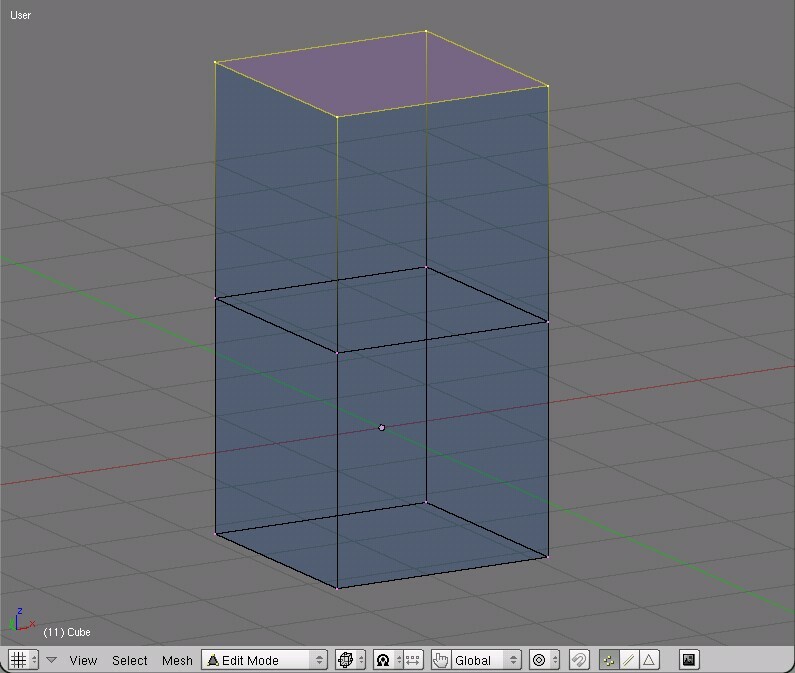 i could extrude an new square by extrude 5 new faces to make the second cube. is that you are suggesting Orinoco? when i have one face selected and extrude the region one that one face is extrude and not the cube. Extrude is for extruding; you’re describing Instanced Copies. Shft-D in Edit mode with all verts/faces selected. 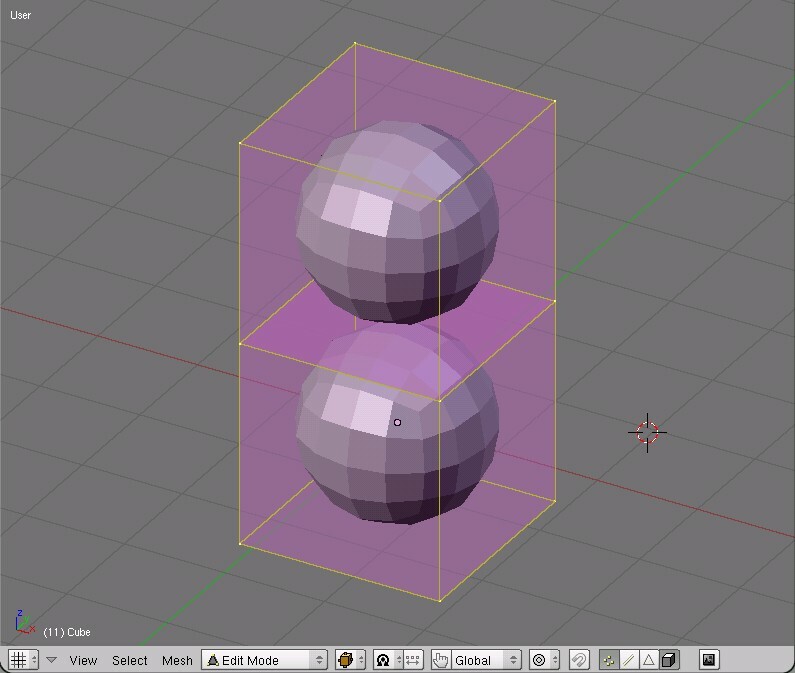 What Blender will do in this situation, is create eight new vertices with edges and faces, which are not connected to your original cube. You can move that new cube so it is exactly sitting on top of the old one, so it appears to be connected. The proper way to extrude a new cube (I’m assuming you’re trying to build gus the gingerbread man) is to start with only four vertices selected, and extrude. The four new edges will have a face between them (if you choose extrude>>Region) and new edges and faces will connect the new face to the four originally selected vertices. There will be no interior face left behind in the middle of the mesh. If you simply have stacked, but separate cubes, and you apply subsurf, this is what you get. This is probably what you want instead, and this is the result of subsurfing the mesh shown in the fourth image. Selecting all verts/faces can be done with the A key, by the way. And then, as fligh said, to duplicate is Shift-D.